Here are a few lecture demos I created from working with online students this week. 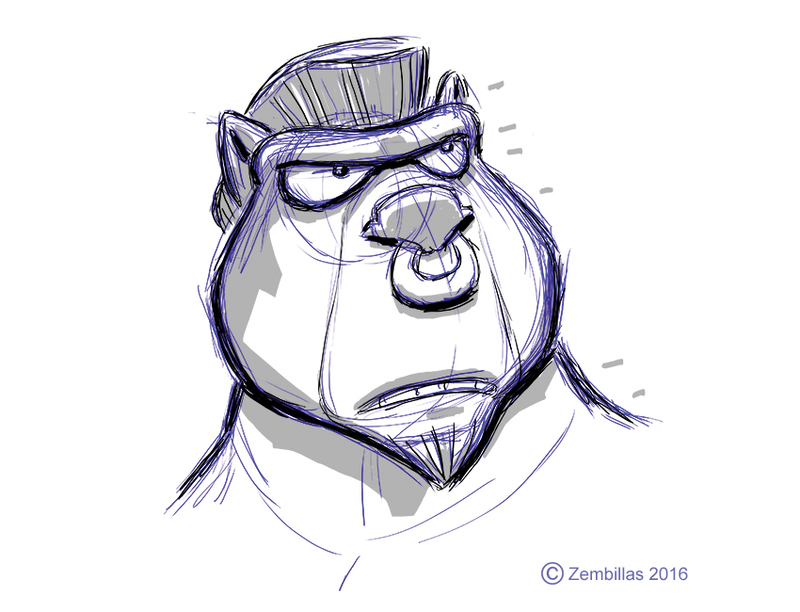 I was explaining how to develop some ideas for a specific kind of character. In this case an ogre. 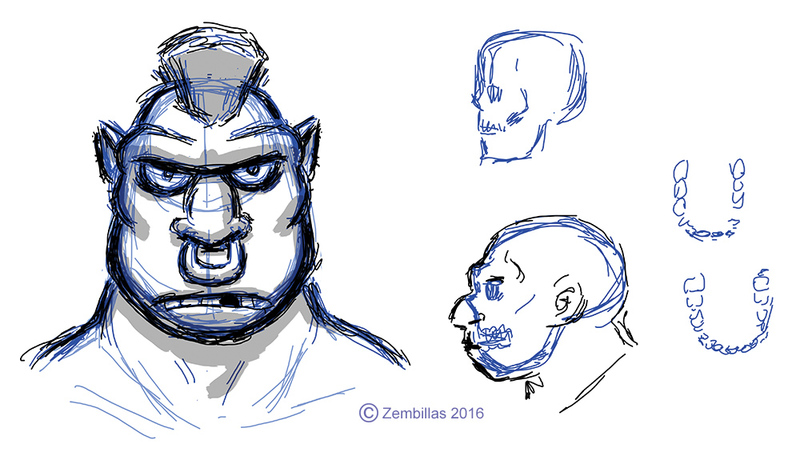 In the first sketch I used some comparative anatomy between our species and neanderthal to show the difference in skull morphology. 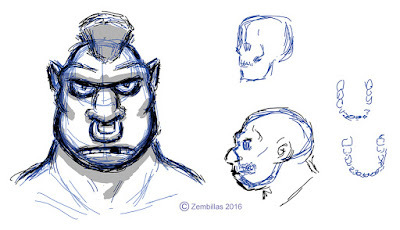 I had something of a neanderthal in mind as I started to develop a design. 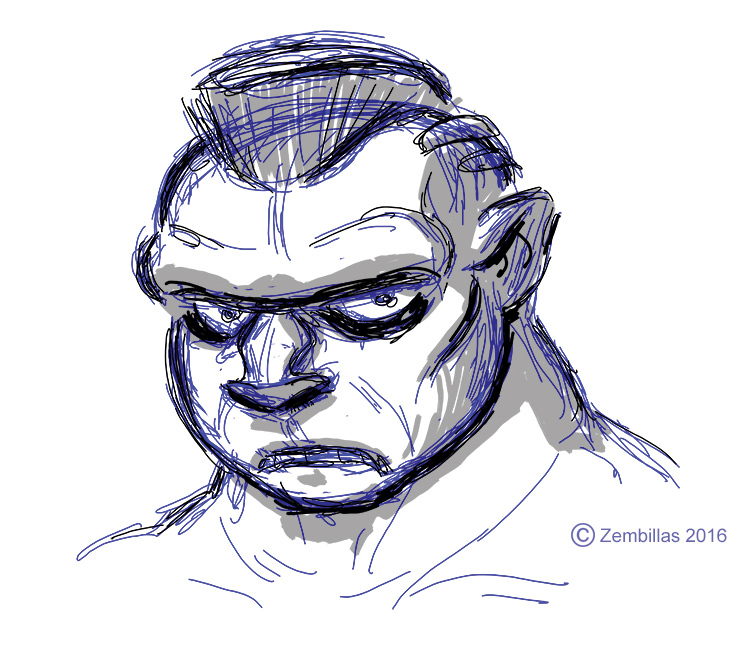 These drawings were done digitally on a Cintiq. By the third image I was combining some animal design elements and pushing simplified graphics. A lot of fun plus my students appreciated the lesson.